I offer different patches for Camino De Santiago pilgrims and collectors: the original (no date) and a current year with a rainbow shell. I have produced a limited quantity of patches each year since 2015 and mail them to anywhere in the world. Below are examples of designs. The patches measure 2.5″ round and have an iron-on backing. Cost is $4 + .55 cents shipping per patch – US. International shipping is $2 + .55 cents each additional. US Postal Service First Class. Expedited shipping available. 2. Buy in person. 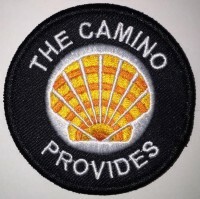 If you’re in the Bay Area and attend our Camino events, let me know and I’ll deliver your patches in person so you’ll save on shipping. Stickers are also available for $1. Click here to buy stickers or add to any patch order. See photos on the Patch Gallery, and share a photo of how you use your patch for a chance to win in the monthly contest. 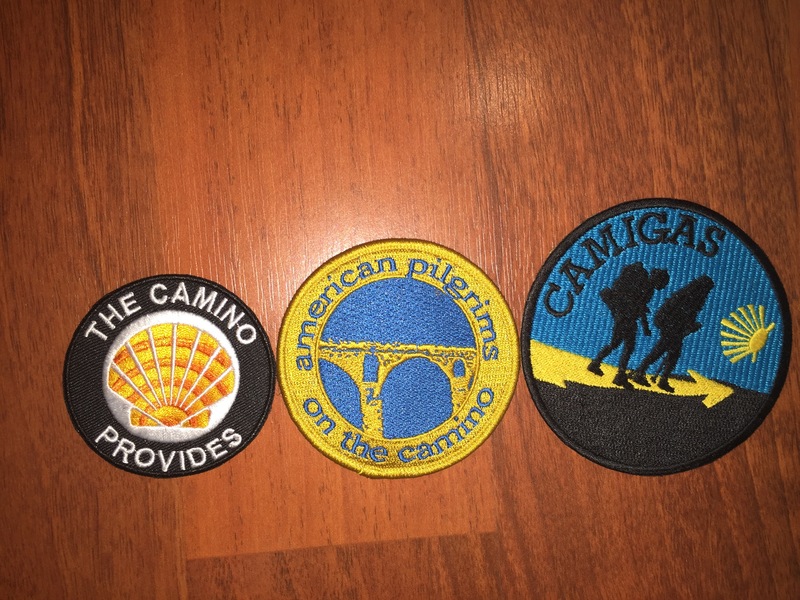 Below is a photo of three patches: The Camino Provides, APOC and Camigas. Please note: it is not recommended to iron patches on nylon backpacks. Please sew or use an adhesive glue to place on backpacks. 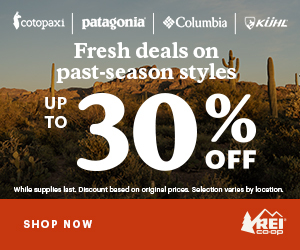 Iron-on patches work best with on cotton fabrics, such as denim, flannel, t-shirts and hats. Pablo, Thank you. I liked the 2nd one too. The first design won the most votes in the poll, but it was very close! I’m going to redesign #2 with the stars and add 2016 for a commemorative year patch. I will bring a few on my Camino in May and will save one for you. You were one of my first blog supporters! 🙂 Any chance you’ll be in Santiago around 28-29 May? No chance at all…I’ll be dealing with visa renewal about that time wherever I’ll be living come September, so unless it’s Santiago 🙂 Thank you so much! Why can I buy the patches? If you use Venmo, just total your order. 1 patch = $5, 2=$10, etc. Then let me know your mailing address. People from Denmark can use Etsy and I mail patches anywhere in the world.